Employee eyecare. You’re in control. Complete compliance needn’t be complicated. SEE vouchers and credits are a straightforward, flexible way to keep employees safe, while looking after their health and wellbeing: the core of the employer’s duty of care. 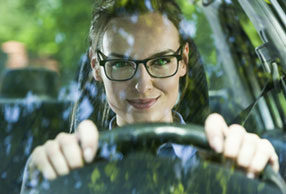 You can manage your corporate eyecare voucher and credit purchases and distribution through the SEE portal, allocating vouchers to employees over email. As an employer, you can also choose to provide an employer contribution for employees to use when purchasing frames outside our standard ranges. Start by registering online, or if you're already a member login to manage your vouchers now. Simply pay by credit card or BACS to buy the vouchers and credits you need straight away. 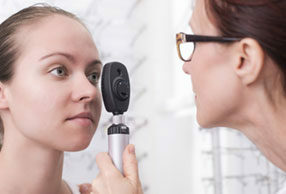 Health and safety legislation and display screen regulations stipulate organisations are responsible for the welfare of their employees, which includes eyesight. If your employees typically use computers continuously for an hour or more most working days you must provide a regular full eye examination and if required, VDU glasses. 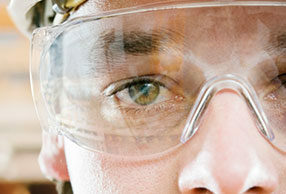 If your employees work in hazardous environments you are required to supply appropriate personal protective equipment. If your staff drive cars, motorcycles, HGVs or passenger vehicles to perform their job, as an employer you are obligated to ensure they are fit to drive. With the SEE voucher portal you are able to ensure your employee's eyecare is looked after with complete legislative compliance. Meet your company's full obligation to DSE Regulations with our easy to manage employee eyecare scheme. Take complete control of managing your corporate eyecare budget with vouchers or credits to build bespoke eyecare vouchers. Register online to access our eyecare portal. As a registered member you can assign vouchers to your employees or grant them permission to self serve, as well as easily track your spend. Offer your staff flexible employee benefits with access to a wide range of independent and high street opticians to redeem their eyecare vouchers. At the core of SEE is our voucher system, accessed through our portal. Why not take a tour of the SEE portal with an online demo.